In past years, the success of the Ford Focus has paled in comparison to the likes of the Volkswagen Golf, Honda Civic, and others, which are fraught with emotion, character, and spirit. For one reason or another, American companies have failed to capture the essence that makes their foreign counterparts so successful to enthusiasts. From mundane aesthetics to lackluster performance, the past generation of Ford Focus is suited for little more than middle-aged women and their unkept, tear-stained Shih Tzus. However, Ford has turned their act around entirely, with their 2013 lineup speaking to a larger audience than ever before. The new Ford Focus shadows over its predecessor, breathing new life in to a segment of the American market we all thought dead. While the base-model Focus is still a far cry from "exciting," the ST model re-vamps the Focus namesake into something a bit more appetizing. With 253 horsepower, 270lb-ft of torque, and a totally re-imagined level of drivability, the Focus comes charging up quickly behind the long list of standing crowd favorites. Despite what the Focus presents on paper, however, it still requires someone to take the leap of faith: someone must show what the 5-door hatch is capable of. This is where Fifteen52 has stepped up to the plate. 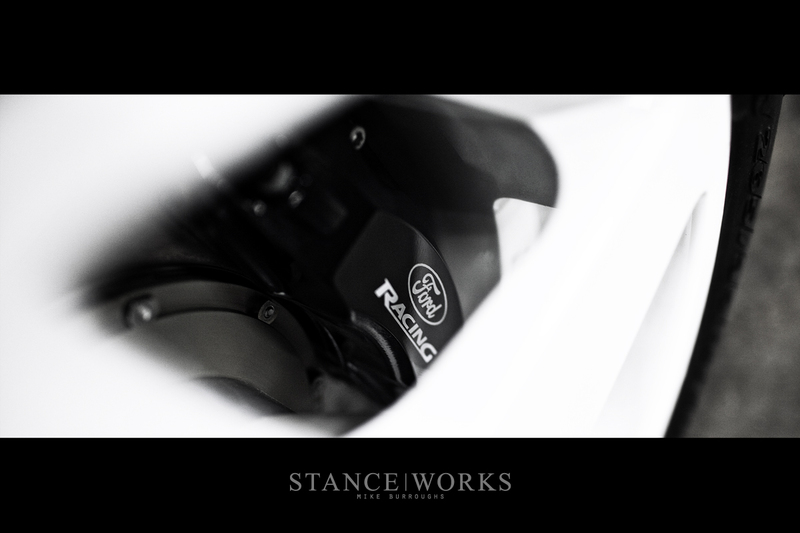 Fifteen52 has partnered with Ken Block once again to build not one, but three Focus STs for Ford under the name "Project ST," and this widebody specimen, known as the "TrackSTer," is the first to be unveiled. The purpose behind the build? The TrackSTer is specifically designed to play the role of aggressive street car and capable weekend track car. The other two projects, dubbed the "Block STyle" and the "Focus STanced" aim to capture the OEM+ mentality and the bagged and fitted yet capable performance car, respectively. The TrackSTer, however, is undoubtedly the "big dog" of the trio. If it's not immediately apparent by the bulldog posture, the little blue hatch means business. Under the hood, Mountune runs throughout. 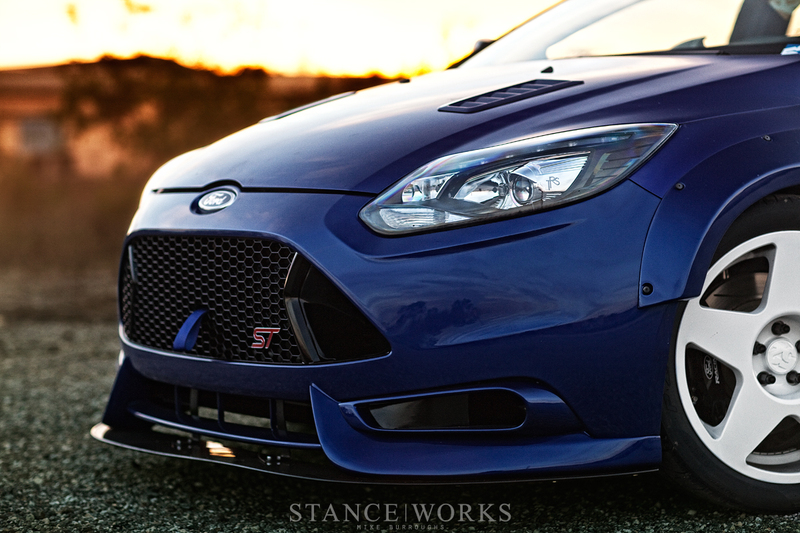 A full Mountune engine build utilizing their own forged rods and pistons, valve springs, high-flow DI injectors, intercooler, intake, downpipe, and ECU beef the ST up into something a bit more daunting. A Garrett GTX2863RS turbo provides the boost, while a Centerforce ST-R clutch and a Quaife ST-R limited slip differential send the power out. FSWerks engine mounts hold everything tidily in place, and lastly, a Ford Racing exhaust and short throw shifter provide two final forms of physical feedback to the driver. Fifteen52 knocked on the door of Eibach to build a one-off set of R2 coilovers for the TrackSTer. Custom damping and spring rates, as well as remote reservoirs, separate the TrackSTer's suspension from your average build, but the outcome proved to be phenomenal. Hanging from the coilovers is a set of Ford Racing 4-piston front brakes with 330mm rotors, which fill Fifteen52's own Tarmac wheels to the brim. 265/35/18 Pirelli P-Zero Trofeos wrap the 18x9.5 Tarmacs and fill out the custom bolt-on arches for a vicious motorsport vibe. On the inside of the TrackSTer, a pair of Recaro Profi XL fixed back buckets replace the still-impressive factory units. Sparco accessories litter the interior, from the steering wheel and hub, to the harnesses, and even the pedal set. A Tomas Sport Tuning harness bar allows the harnesses to be properly and safely mounted. Comfortable enough for daily driving, yet fit for track duty, the interior embodies the build's concept. 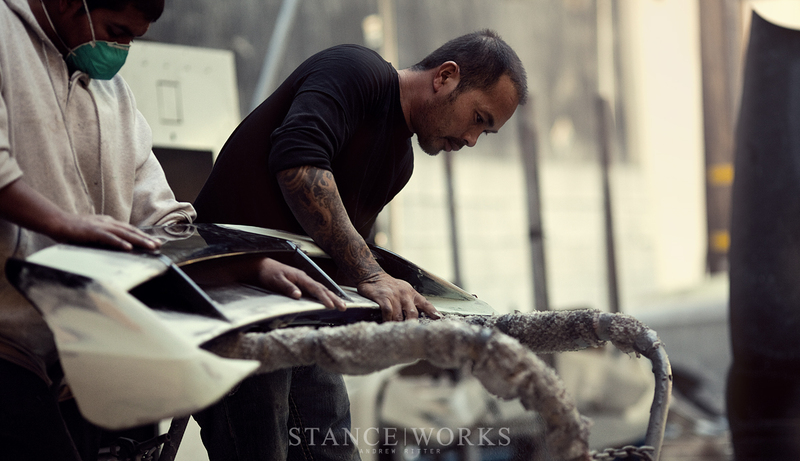 At StanceWorks, we like to work with our vendors to grow and improve the community through collaborative efforts, so we were excited when the gentlemen at Fifteen52 approached us with rendering the TrackSTer to bring it to reality. After sitting around a table with Matt and Brad, discussing their vision for each Focus, our very own Andrew Ritter got to work putting these dreams to paper in three project renderings. It has been quite an experience watching as the build moved from our design table to the dirt lot before our very eyes. Projects like these show what our vendors are capable of and offer enthusiasts inspiration in their own builds. Just as is was drawn, the TrackSTer came to life - With the help of Ranz Motorports, nearly every part on the exterior has been custom-built for the project. A custom front splitter, cup sploilers, brake ducts, and a ram air grille intake set the front end of the TrackSTer apart from any other. The Retrofit Source HID conversion headlights sharpen up the "eyes" of the car, and Focus RS hood vents complete the package. The extremely aggressive front end is paralleled in the rear by a one-off RS rear diffuser and RS rear wing. 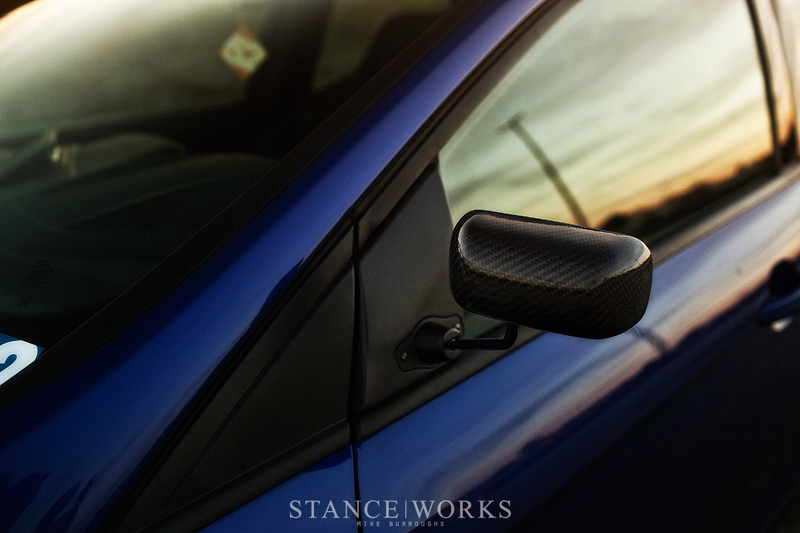 F1-style carbon fiber mirrors are perched on the doors, losing the weight, both physically and aesthetically, of the Ford factory parts. 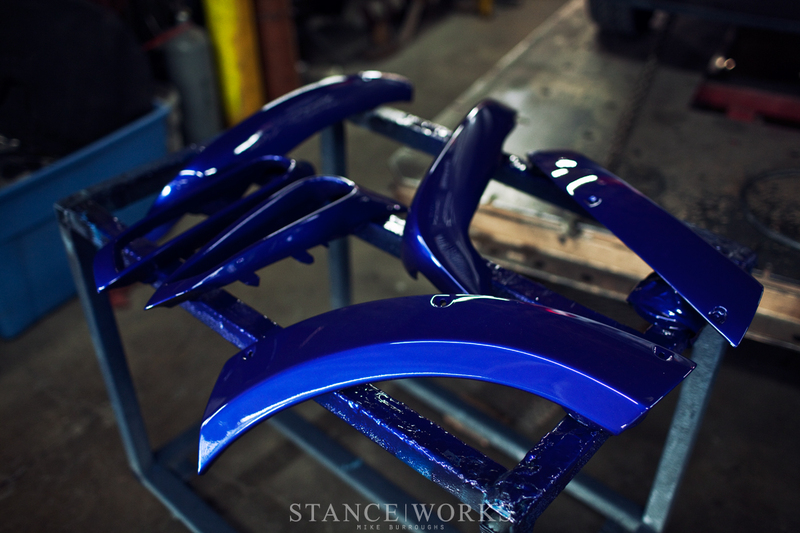 Most important of all are the Fifteen52 fender flares, built to fit and flow with the lines of the car. Standing tall off the factory arches, the 1552 flares give some much needed bark to the TrackSTer's bite. Once the three project cars are completed, Fifteen52 and Ken Block will head to the race track where each car will be put to the test. From drivability and comfort, to performance and track times, each car will be pitted against the other two to see how each sizes up and how each style of modification plays a role in a car's overall performance. 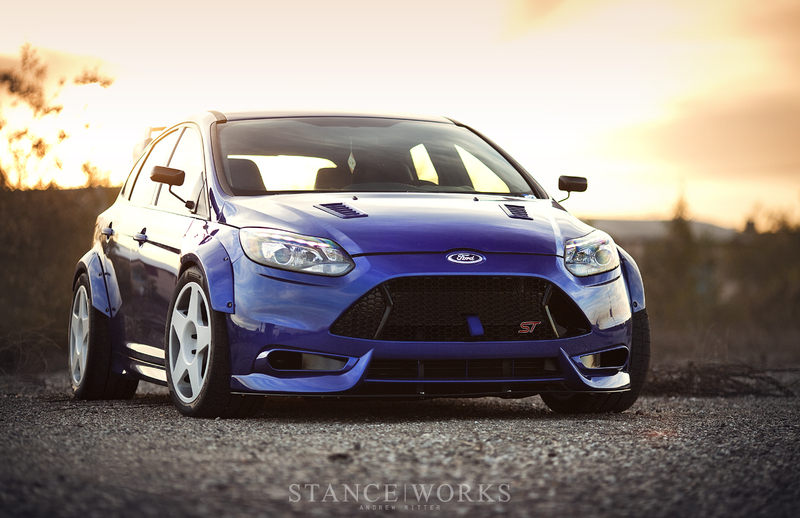 With their trio of Focus STs, Fifteen52 has covered a spectrum of automotive enthusiasm. 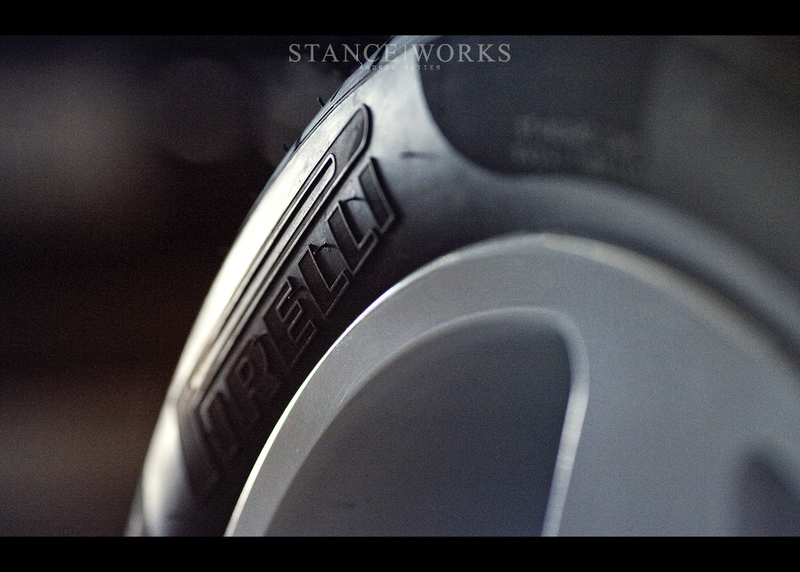 From the street, to the show lot, and then out on the track, the Project ST cars will offer something for everyone. Whether you're looking for a track rat or a show winner, Fifteen52's project will really exemplify the amount of potential that lies in each stock car as it sits in the dealer's lot. Wish there was a side pic where I could see the wing better…loving it! 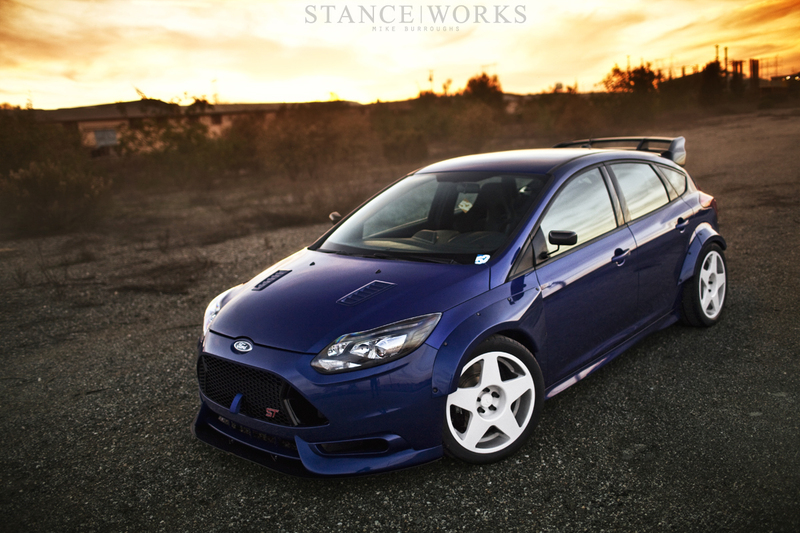 This thing should be released as the Focus RS, it has the perfect look. Bet it is a riot to drive! My favorite part of the build is definitely the custom sploilers. Absolute perfection. Such a killer look inside and out. Would love to see another feature about the Mountune engine build. What happened to RS being fords ‘performance brand’? This is simply epic. the blue and white colour combination is perfect, and so are the customs body parts! 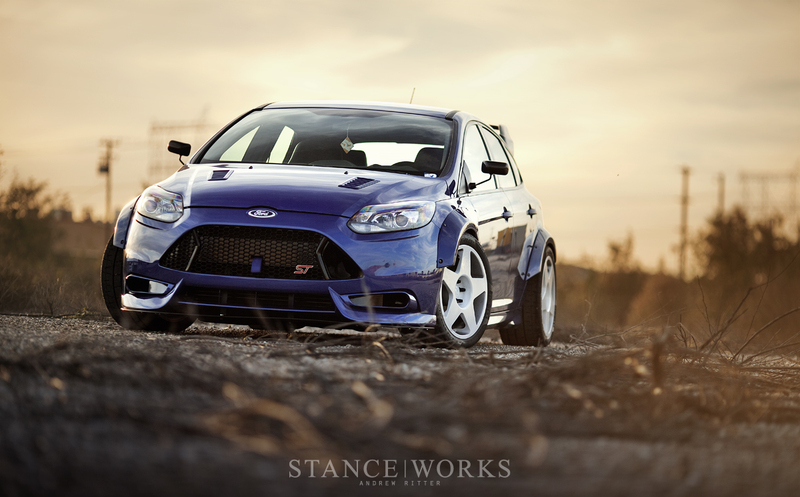 I would have never thought that somewhen I will like a Ford Focus this much. 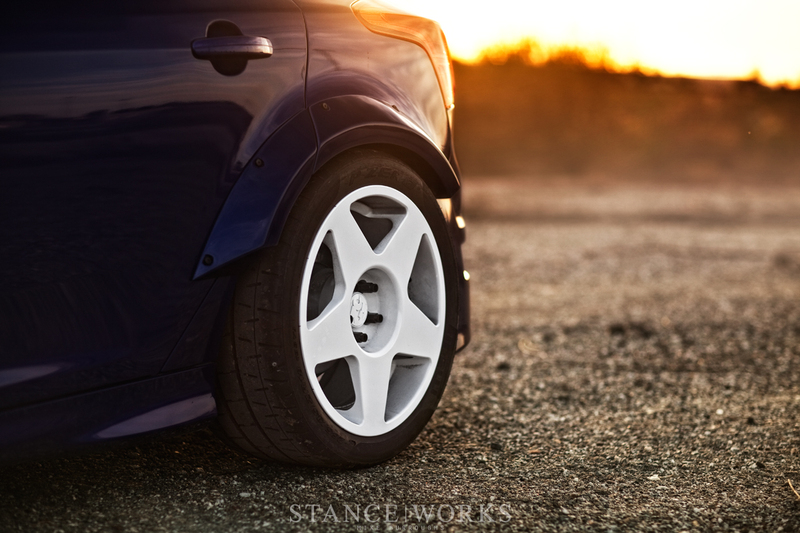 Amazing, thanks for the great pictures StanceWorks! wow, thats beautiful.how the stock RS should’ve been! 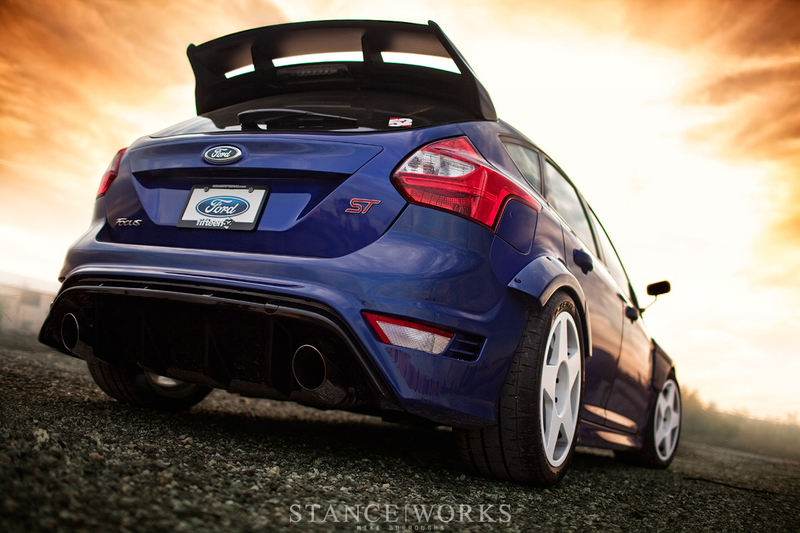 @HarveyJamesFulford The RS comes out late in the production cycle 1-2 years behind the ST. There are already prototypes running around. 2.3L Turbo, 320-330hp is the rumor. Great job – I would love to convince my wife this is the car for her – Then I need to find out how to explain my driving it all the time. I surely won’t have her buzzing around town in my Shelby. You guys did a fantastic job on the facelift. 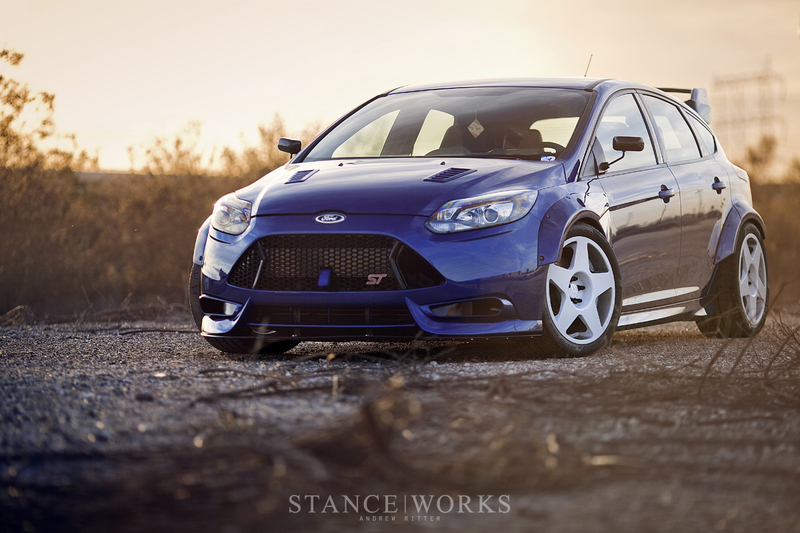 I thought this was the best looking Focus produced by Ford when it first came out, but you guys have hit a homerun with this! I really dig it! I am glad to see Ford putting so much effort into the image of the ST brand. I have a 13 ST and I think the car is awesome in stock form. Not that I’ll trick it out like this (or at all really) but glad to see what can be done with one. And all the guys bashing on it because it’s a Ford, this seems to be an American market website and you seem to be an auto enthusiast. It really seems counterintuitive that you would be anything less than ecstatic that an American manufacturer is stepping up to the plate and let’s just say it, DOMINATING the US hot hatch market. Get on board, this car rocks! Will there ever be a cost given as a retail price on building a trackster??? Awesome work guys! Love it!